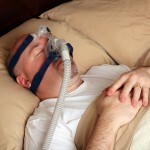 Obstructive sleep apnoea syndrome (OSAS) affects about 4% of the male and 2% of the female population of North America. Standard treatment is with continuous positive airway pressure (CPAP) however this has poor adherence in some groups and oral appliance therapy is an alternative therapy. The aim of this trial was to assess variations in the occurrence of temporomandibular disorders (TMDs) in obstructive sleep apnoea syndrome (OSAS) patients treated with either an oral appliance (mandibular advancement device) or continuous positive airway pressure (CPAP). Patients over 20 years of age and diagnosed with OSAS (apnea hypopnea index (AHI)≥5) based on polysomnography were randomised to either an oral appliance (n=51) or CPAP therapy (n=52). baseline, clinical variables were determined and the occurrence of TMDs was assessed using the Research Diagnostic Criteria for Temporomandibular Disorders (RDC/TMD). At all time points (T0, T2, T15 and T27), patients filled out the seven-item Graded Chronic Pain Scale and Mandibular Function and Impairment Questionnaire (MFIQ). 71% (36/51) of patients in the oral appliance group and 75% (39/52) in the CPAP completed two years follow up. In the appliance group, 29 patients (57%) were still using their appliance at 2 years and 37 patients (71%) in the CPAP group were still using CPAP. 20 switched to the alternative therapy during the study,12 switched from the appliance to CPAP therapy,. Eight patients switched from CPAP therapy to oral appliance. The occurrence of pain-related TMDs was considerably higher (24%) in the oral appliance group compared to CPAP (6%) only during the initial period of treatment. Oral appliance therapy furthermore resulted in more temporomandibular pain compared to CPAP (odds ratio 2.33, 95% confidence interval 1.22–4.43). However, there were no limitations in mandibular function in both groups during the (entire) follow-up period. our results show that the occurrence of (pain-related) TMDs increases in the initial period of oral appliance therapy but tends to return to baseline values during a 2-year follow-up. In OSAS patients, oral appliance therapy results in more pain of the temporomandibular complex compared to CPAP therapy but does not cause pain-induced limitations in these patients. Mandibular function was not impaired in OSAS patients using an oral appliance or CPAP therapy for 2 years. These findings suggest that the possible development of TMDs or temporary pain of the temporomandibular complex is not a contra-indication for oral appliance therapy in OSAS patients. Doff MH, Veldhuis SK, Hoekema A, Slater JJ, Wijkstra PJ, de Bont LG, Stegenga B. Long-term oral appliance therapy in obstructive sleep apnea syndrome: a controlled study on temporomandibular side effects. Clin Oral Investig. 2012 Jun;16(3):689-97. Epub 2011 May 3. PubMed PMID: 21538074. Ahrens A, McGrath C, Hägg U. A systematic review of the efficacy of oral appliance design in the management of obstructive sleep apnoea. Eur J Orthod. 2011 Jun;33(3):318-24. Epub 2011 Jan 13. Review. PubMed PMID: 21239397. Veasey SC, Guilleminault C, Strohl KP, Sanders MH, Ballard RD, Magalang UJ.Medical therapy for obstructive sleep apnea: a review by the Medical Therapy for Obstructive Sleep Apnea Task Force of the Standards of Practice Committee of the American Academy of Sleep Medicine. Sleep. 2006 Aug;29(8):1036-44. Review. PubMed PMID: 16944672. Giles TL, Lasserson TJ, Smith BH, White J, Wright J, Cates CJ. Continuous positive airways pressure for obstructive sleep apnoea in adults. 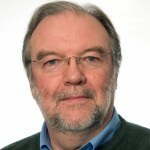 Cochrane Database Syst Rev. 2006 Jul 19;(3):CD001106. Review. PubMed PMID: 16855960. Ferguson KA, Cartwright R, Rogers R, Schmidt-Nowara W. Oral appliances for snoring and obstructive sleep apnea: a review. Sleep. 2006 Feb;29(2):244-62.Review. PubMed PMID: 16494093.